Home » Technology » Full Forms Of Unbelievables. 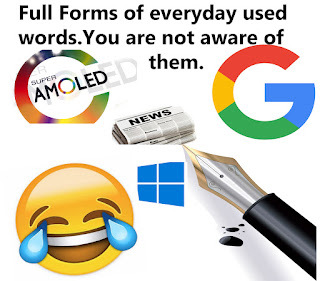 Hey there, today I will tell you some amazing full forms of words, Do you have ever thought why the developers of GOOGLE, the biggest Search Engine got it name from? and what is the meaning of Google? and some crazy words like that. Stay with me and I bet you will get something valuable at the end of the post and if you liked the post then please share it with your friends cause sharing is caring. SO, let's not talk too much and let's start. 1.Google: Global Organization Of Oriented Group Language Of Earth. 2.Yahoo: YET ANOTHER HIERARCHICAL OFFICIOUS ORACLE. Now here are some of the biggest full forms. 3.Windows: WIDE INTERACTIVE NETWORK DEVELOPMENT FOR OFFICE WORK SOLUTION. 4.Computer: COMMON ORIENTED MACHINE PARTICULARLY UNITED AND USED UNDER TECHNICAL AND EDUCATIONAL RESEARCH. 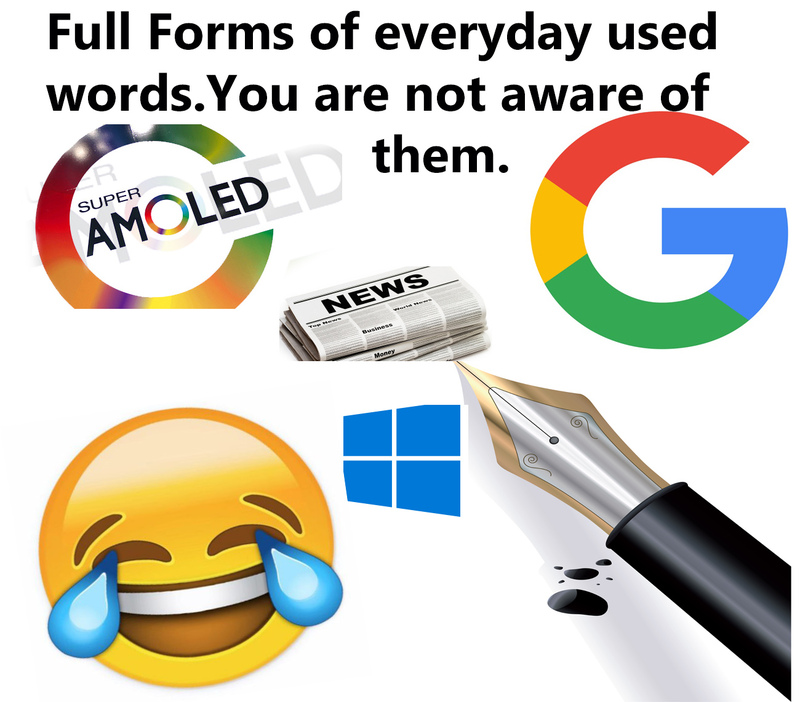 Now full forms of most commonly used words. 5.Virus: VITAL INFORMATION RESOURCES UNDER SIEGE. 6.HDMI: HIGH DEFINITION MULTIMEDIA INTERFACE. 7. VPN: VIRTUAL PRIVATE NETWORK. 8.GPRS: GENERAL PACKET RADIO SERVICE. 9.AMOLED: ACTIVE-MATRIX ORGANIC LIGHT EMITTING DIODE. 10.GSM: GLOBAL SYSTEM OF MOBILE COMMUNICATION. If you are still reading, then as promised I have something special for you.Do you know the actual full form of some of the words? Let's have look on that too. 11. Newspaper: North East West South Past And Present Event Report. 12. Chess: Chariot, Horse, Elephant, Soldier. 13.Cold: Chronic Obstructive Lung Disease. 14.Joke: Just Of kids Entertainment. 16.Date: Day And Time Evolution. 17. Pen: Power Enriched In Nib. 19.Bye: BE With You Everytime. Hope you like the post and more suggestion than please comment below I would love to hear your suggestion. Catch you later. I am glad you liked it. And thanks for sharing.